I was able to try a breaded pork tenderloin sandwich at The Spot Food Truck last year, and one from Chuckie's Iowa Tenderloin Truck at the Iowa State Fair the year before, and even earlier at the mobile unit of the Townhouse Supper Club when it came to Des Moines several years ago. 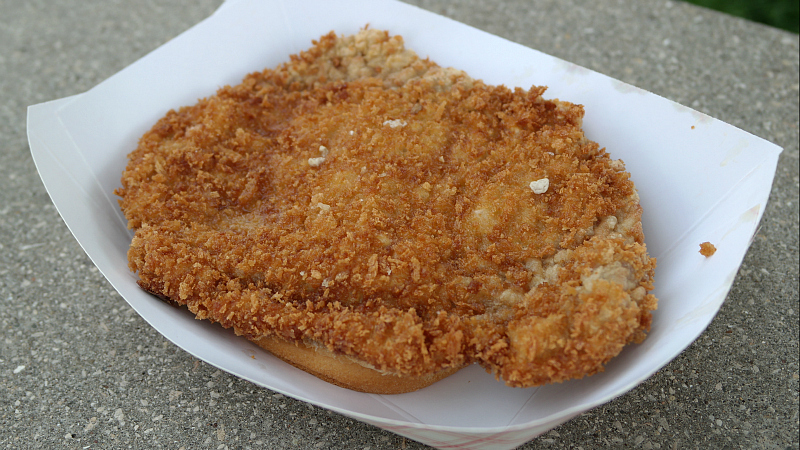 The latest food truck to sell breaded pork tenderloins is the Little Red Food Truck parked downtown for this summer. Location: They have only been around for a couple months and may move around, check their social media page to know where they will be. Directions: You can drive downtown on Mondays, Wednesdays and Fridays and they will probably be in the sculpture park area where the other trucks are parked. Online at: facebook page is HERE. 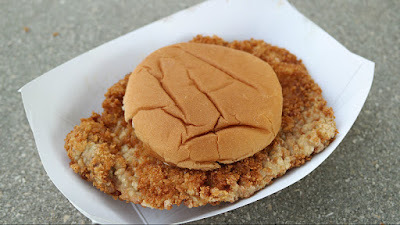 The Tenderloin: This was described as pork ribeye loin meat, and the bright white meat was very juicy. 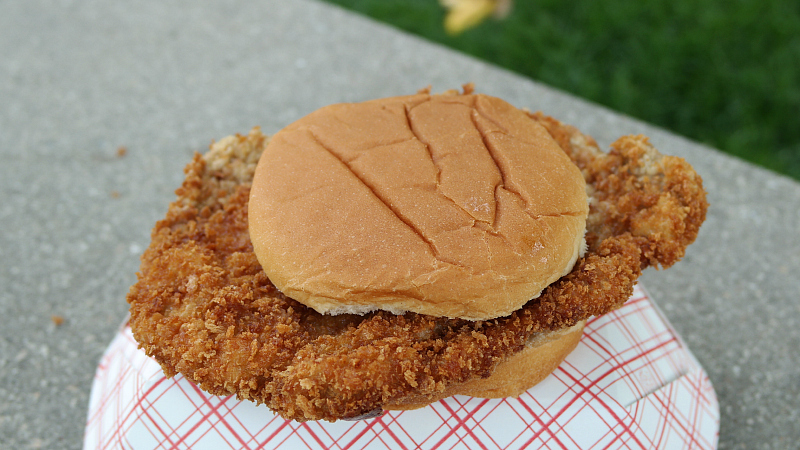 Panko bread crumbs gave this sandwich a classic crunchy texture. The first problem was that the loin meat was not entirely coated in the breadcrumbs, parts were just bare meat. Another was the trim job that left hunks of fat in the loin meat that were a little too big. The panko had a little salt in the taste, so something could have been added. 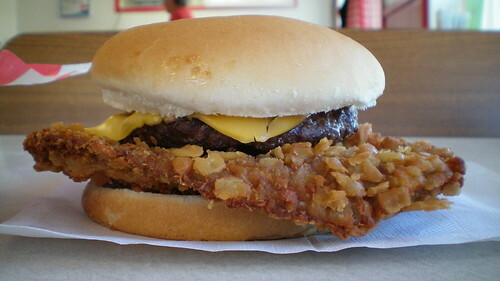 Served with your choice of fixins on a soft bun. Overall 7.30 out of ten. Also on the menu: fresh turnover pies, gourmet tacos with fish or fried flour shells, and soft drinks. 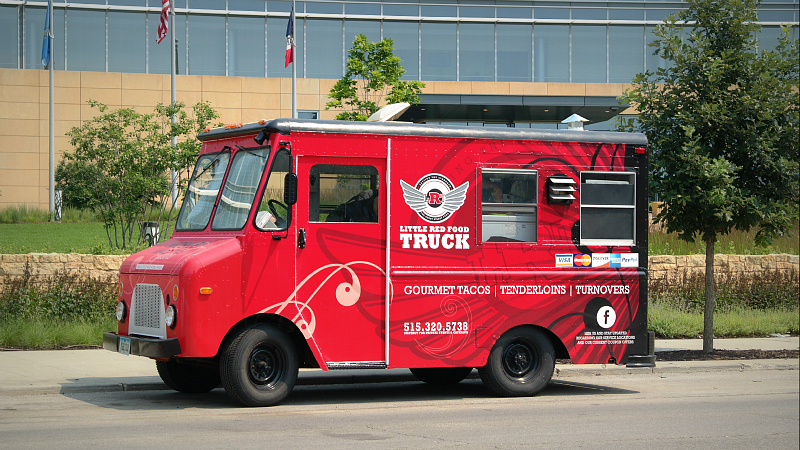 Service: Just a walk up food truck service. There were two people inside when I stopped by. Ambiance: I found the truck when it was parked on a sidewalk across from the sculpture park. 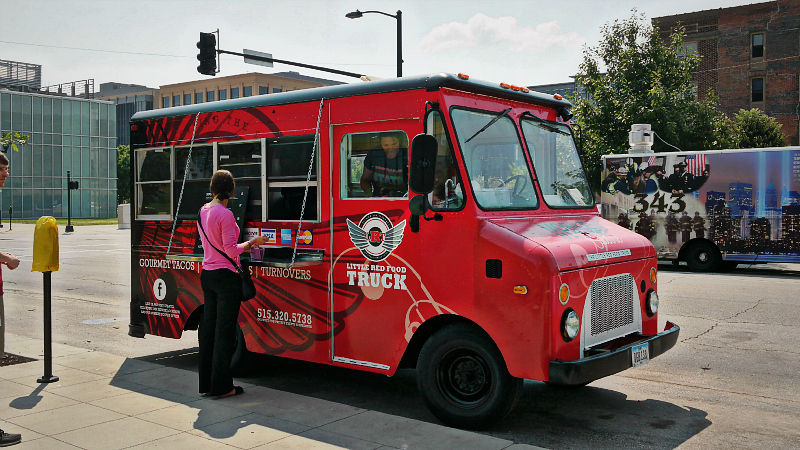 Final Thoughts: This isn't the first food truck to try selling tenderloins in Des Moines, and there is another truck with tenderloins on the menu parked across the street. Fixings some problems with the sandwich could make this one competitive with the other tenderloins in town.